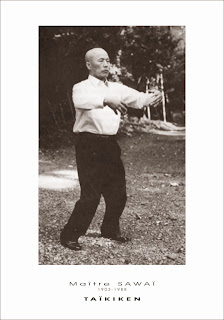 When I first started practising taijiquan in late 1989 I was somewhat perplexed by the sequence known as "single whip": Here was this curious series of movements, it's final position so often captured in still photographs as the essence of taiji – one hand in front, the other out at the back and slightly to the side with the wrist bent as if "holding a dirty sock by the tips of the fingers"! It seemed totally unrealistic and irrelevant to fighting. Try as I might, in the following years I could not think of how or why one would bother with this "posture" (it is more accurately described as a sequence of movements) as a "fighting technique". The best I could do was "shelve" consideration of the sequence until I had further information. 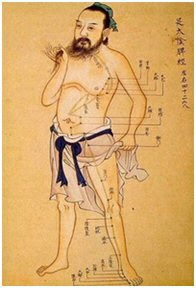 Since many of my most admired martial elders practised taijiquan I reasoned that there must be some good reason for it. Then in 2005 I had the honour of becoming a student Chen Yun Ching and his adopted brother James Sumarac – and applications were shown to me that revealed single whip for all its true potential. I discovered that it is more than just a stylised exercise, more than just a small part of some elaborate, arcane "dance". 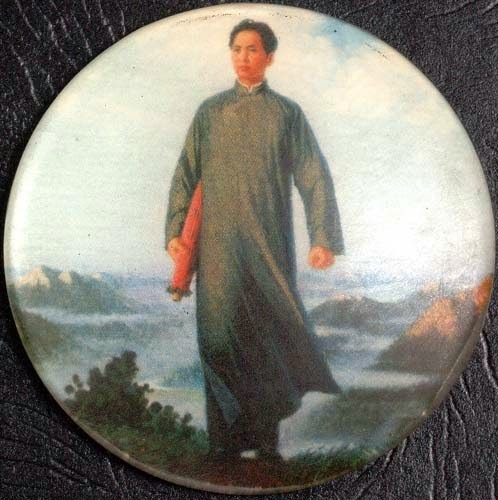 It is, in fact, one of taijiquan's main tools for teaching essential principles of civilian defence. In this article I'd like to start sharing with you some of my reasons for coming to this conclusion. In my recent article "That first punch: can you really "block" it?" I covered what I often call the "surprise punch", although a better term might be the "sucker punch" – a blow that is thrown when you aren't expecting it (or rather, when your attacker assumes you're not expecting it). In that article and my follow up article "Necessary and reasonable force" I described the necessity of reactive skills a – for logical, as well as ethical/moral and legal, reasons. I've previously described other pragmatic reasons for needing to know some reactive defence skills (see "Surviving the surprise attack"). 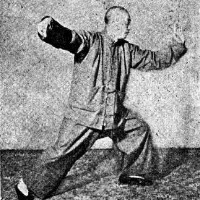 As it turns out, the very first application of single whip, as shown to me by Master Chen, is precisely for this context. 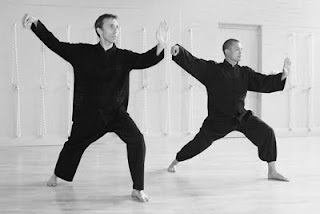 That shouldn't come as a surprise: taijiquan, like the jian (the double-edged "tai chi sword" that I've previously discussed), is and always has been for civilian defence. It was never intended for the battlefield or as a combat sport. Most people (possibly 90% of the world's population) are right-handed. And people will tend to strike you with their preferred hand. That this strike will have some form of curve is, I think, statistically so likely it is virtually inevitable: Only those trained in classical martial arts (from a boxing jab to a karate punch) default to a totally straight punch. By contrast, those who are most untrained will simply swing their arms in a wide arc (ie. a "haymaker" punch). Those with a little knowledge or experience can be expected to have some curve even if the punch is "straighter". 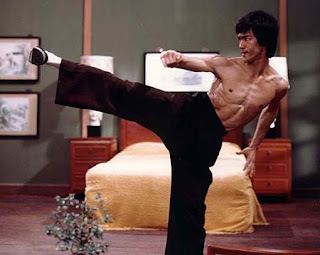 Those who are reasonably experienced fighters will use at least some curve to add power to their strike. Last, only those who are reacting defensively in a civilian defence context are likely to use a conservative straight thrust. Accordingly, the most likely first punch you're going to face from an unprovoked attack is a right handed one with an element of curve. It is important to note that "moving to the outside" of such a punch is going to be quite difficult. I say this despite my previous arguments about dimensional analyses; it might be fine for an highly experienced martial artist to understand the mechanics of deflecting a curved punch on the outside, but this tactic requires significant and very specific training. For this reason I think it remains an incontrovertible fact that people find it very difficult to deflect or block a curved attack on the outside of that curve. And the corollary to this is that moving to the inside of the curve is the quickest, shortest way to intercept it. This is because, by definition, you are already on the inside of a curved punch: you don't have to move anywhere. The first phase involves a retraction of your body, accompanied by an extension of both of your arms outwards. This is a modification of the flinch reflex. The movement of your body backwards is going to help take you out of prime hitting range, while your arms are going to try to intercept the blow. Working together, the punch can be deflected. Single whip uses primarily your lead hand, which in this case is your right. Why lead with the right? Because, as with using a straight sword for civilian defence, you are primarily interested in keeping your opponent at a safe range – not saving your big punch for "later". So you will have your preferred arm leading, doing the (difficult and important) job of protecting you (although that arm will quickly convert into a counter attack, as we'll soon see). o use the action of the wrist as well as the forearm to create a circular "sweep", adding force to your deflection along the principles of staged activation while also depressing the attack slightly downwards at the end (ie. aiding the deflection and control along two separate planes). Not wishing to leave anything to chance, your reverse (left) arm is also kept in play; it augments the right in intercepting the attack, so that if your primary arm misses or otherwise fails, you have a backup. The defence concludes as your body has reached maximum retreat (pulling the bodyweight onto your back leg). The second phase of single whip involves a counter strike. This is executed with the back of your wrist which, having scooped sideways and down, continues its momentum in a continuous (though small) circle. The force of the scooping action is thus converted to a back-of-wrist strike under the chin, to the carotid sinus or otherwise to the face, in a quick snapping motion. This counter attack is timed to coincide precisely with the "returning wave" of your bodyweight which shifts back onto your front leg, driving as much momentum into your blow as possible in the circumstances. Civilian defence arts are not geared at "powerful strikes" as I've previously discussed. Accordingly, if you're looking for some sort of "power strike", you've come to the wrong place. What single whip does supremely well however is generate a surprising amount of "bang for your buck". It is impressive how much force can be generated from a back-of-wrist snap. And this can be more than sufficient for a sensitive target such as under the chin or the carotid sinus (or, for that matter, several other vital points in that vicinity). 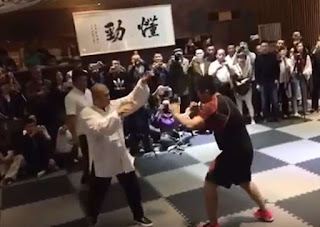 Taijiquan is full of such counters: strikes that don't require much force to achieve an effective result. In this case, the strike might (or might not) be enough. Regardless, it buys you time against that surprise punch; and it does so as conservatively as possible, with its first aim being your protection and only its second aim being a counter. In relation to the latter point, it is important to note that at all times both arms stay above the centre sternum line. This accounts for the (somewhat odd) hand position mid-way through the movement. People have often asked me why in single whip it is necessary for your back hand to touch your lead forearm. Well apart from being useful in terms of further counters, it is also useful in further defence (if necessary). In other words... it is there if it needs to be used! However, as previously discussed, if it happened to fall below the centre sternum line, it would be functionally unavailable. In other words, having your back hand touch your forearm is first and foremost about a reminder: to keep your arms up through the entire defence; both in defence and in attack. 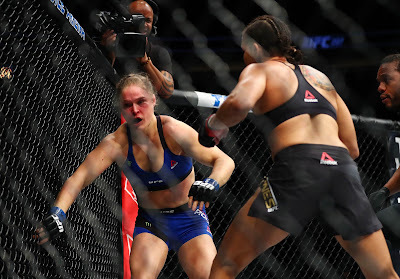 Dropping your guard unnecessarily, even with one arm, can be catastrophic. And civilian defence arts are not about risk-taking. 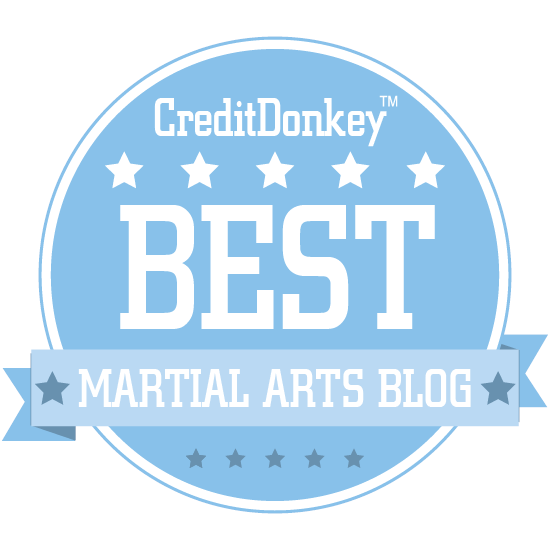 In this article I've started with the most basic, yet possibly the most useful (for civilians anyway) defence single whip can offer. As you can see, this defence is "low on power striking" and big on conservative movement that ensures your protection first, before going on to counter strike. 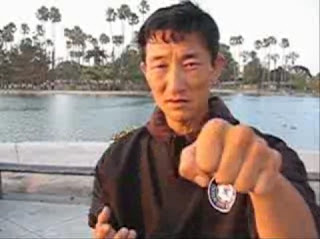 Critics of this technique generally point to "simultaneous" techniques as being "vastly superior technology", however this critique ignores the reality that such "simultaneous" techniques aren't always possible – particularly when you are facing a surprise attack . 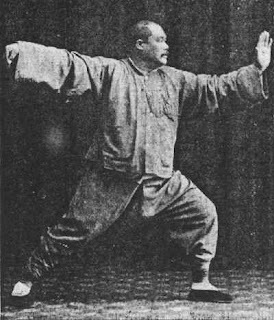 Besides, taijiquan is full of "simultaneous" techniques. Single whip just isn't one of them. But it would be an error to consider single whip as two separate movements anyway. I know that in this video I keep saying "one, two" but in reality the technique is called "single" whip for a reason. You are really generating one continuous circular movement; there is no reversal of momentum in your arms – instead they inscribe a small circle that deflects and feeds back onto your opponent a sharp, nasty, whipping counter to vital regions. The unexpected and (to most people) unorthodox nature of the counter adds to the "surprise factor". The next criticism of single whip generally goes: "People don't tend to throw only one punch." However there are two answers to such a criticism. The first is that this statement is statistically untrue; most untrained attackers throw a single, nasty surprise punch (see the videos embedded in my recent article on this topic); if they follow up with other punches, these are launched well after that first punch has landed. But in any event, single whip contains defences against multiple punches, particularly the classic "one-two" of a jab and cross. This is precisely why single whip keeps both arms "in play" as I have discussed. 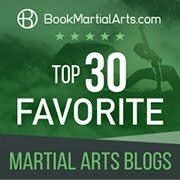 I will cover single whip's defences against multiple punches (and other fascinating applications of this technique) in Part 2 of this article. For the time being, take note of single whip: far from being a stylistic "dance" it is in fact a powerful antidote to what I've previously described as most people's main "civilian defence nightmare" – that nasty, unprovoked, surprise first punch. In case it isn't clear, I am only showing the first part of single whip: the second part continues on to attack further or negate other attacks - so the 'pause' at this point is artificial and is intended for focusing attention for video purposes. Also the strike is under the chin or throat (carotid sinus) - a soft target (not the chin itself as some people seem to think from the video and images). The TMJ is also along the same target vector. An explosion can crack the joint and prevent the jaw from moving properly. Nerves near the brain are much harder to block using adrenaline and endorphins. The battlefield application would be in cases where a person is using an extension of his arm, sword or club, and their arm thus has too much momentum to completely stop with one or even two arms, this case of tangent deflection will redirect their incoming force. However, most people got killed trying to do something similar because it requires them to get in range, past the range of the enemy's weapon. That .2 seconds of hesitation is all that is required for the defender's head to fall off. Where failure doesn't really mean much except a bruised ego and getting knocked to the ground, slowness in reaction speed due to training can be overlooked and often is. When failure is no longer an option, then there is no need nor desire to wait for a reaction. Another big reason people hesitate and wait for reactions is that they cannot predict the movements of the enemy in a way that makes sense and gives them confidence to put their life on the line. So people will take a step backwards when they should step forward. They will wait rather than act and miss the timing entirely. By the time someone has trained a few years, their reaction speed and prediction abilities will have increased. This may lead them to believe most of their progress came from doing the "reflex game", but that wasn't so. Their reflex speeds actually went down as they aged. Yet it was really unimportant in the greater scheme. If a person wishes to develop timing, and not just the raw speed of their reflexes, they will have to do something other than count on their reaction abilities. 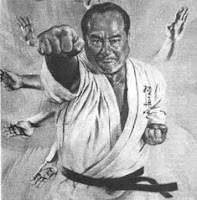 As for the actual movements in question, I see it much like kata, except on a more fundamental level. They don't tell the student how to step to get into range, they assume they are already at range. So if kata isn't a battle against imaginary enemies, then neither is the postures in TCC about how to get in close to the foe. It assumes you are already close. But that means if you meet someone, and their melee tool is longer than your arm, you have to figure out how to step into them. And that is what is left out. Taking the roll back force re-absorption in isolation, it may look like someone was just standing there waiting, waiting to use his reflexes to counter what he saw. But that isn't necessarily the context. Often times, for a person to be in that situation, they had to act proactively, predict enemy movements, and arrive first, even if they acted second in sen no sen. Sen no sen isn't a defensive or reaction based reflex in my view. Given a choice between the timing of acting second, and arriving first, or acting second and arriving second, I would choose the former over the later. Much of the reflex based systems around, however, seem to naturally default to the latter. Especially if the person hasn't received training from childhood, thus must learn to survive using the reflexes of adulthood or even senior decay. Maybe it was different for child prodigies and those trained from infancy, like the Shaolin monks or professional warriors and mercenaries. For the modern day man and woman, however, there's a gap that's hard to bridge with just reflex based speed fixes. If people could learn to stop using their vision to fuel their reaction based judgment systems, it might be better. But that in itself might take longer for a student to learn than sen no sen. I think rather than attempt to out reflex people using pure reaction speeds against surprise and proactive attacks, people in the modern world would get a lot more mileage out of setting their goal towards the higher echelons of potential. But I don't think they can achieve it if their primary goal of import right now is to increase their physical reflexes and speed. Whether it is Taiji Chuan or anything else, the training issues with modern humans are the same. Your experience shines with this article - excellent - thank you!